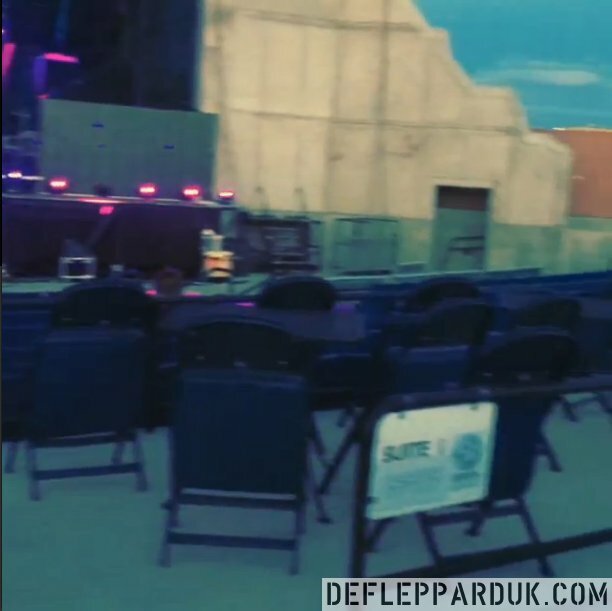 The Def Leppard/KISS Summer Tour 2014 kicks off in Salt Lake City, UT on 23rd June and footage of the soundcheck/photos are available. 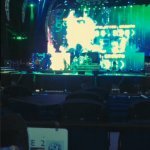 The band recently completed rehearsals and are now at the venue in Salt Lake City preparing for show #1 of the Summer Tour 2014. A local crew member has posted more photos online as well as a short video clip featuring 'Armageddon It' which can be seen via the link below. Using the same video graphics as 2013. The band are using the stage set up last seen on the Mirrorball tour in Australia/NZ. 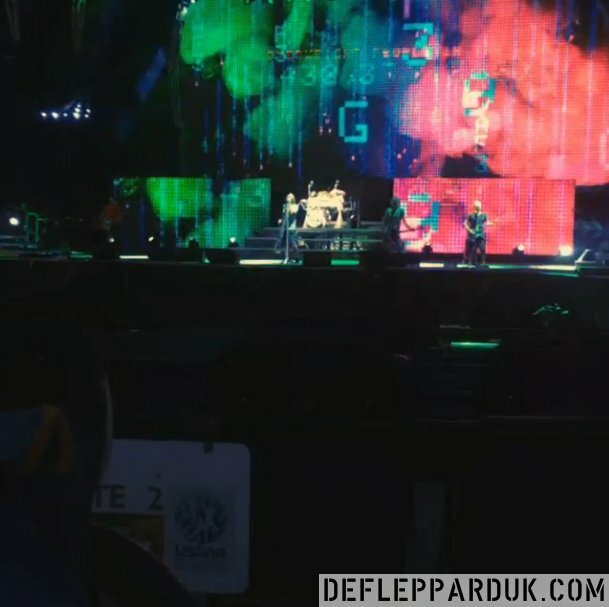 The 'other' drum riser is being used along with two banks of videos screens either side of Rick (who has a new Union Jack drum head). 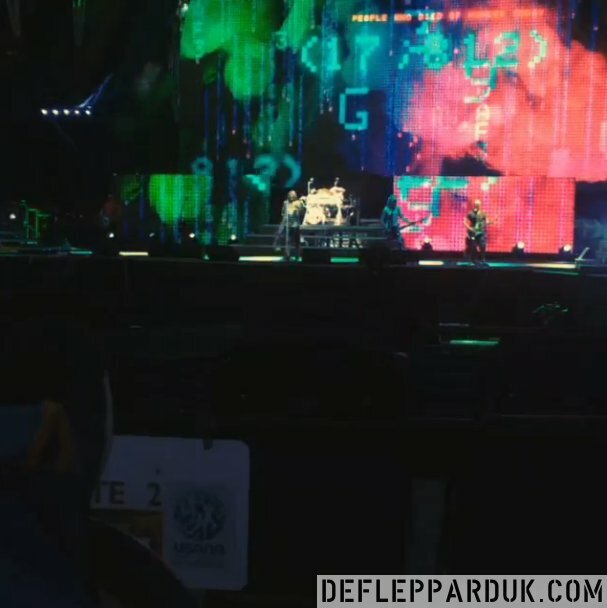 Essentially the band are set up on KISS's stage but have use of their massive back video screen which they used last year behind their 'Spider' lighting rig. 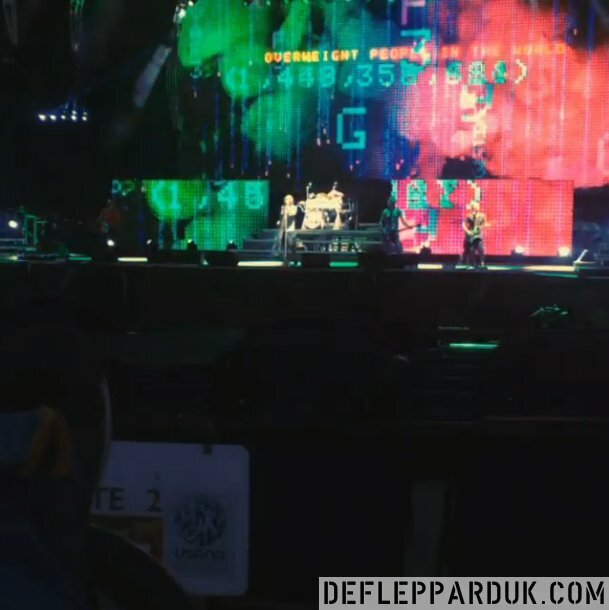 It would appear from the clips that Lep are using the KISS lighting or have their own lights mixed in at the top of the stage where the Spider also hangs ready for use. Stay tuned for many more updates from Salt Lake City tomorrow (or early Tuesday if you live in the UK...). The Summer Tour 2014 kicks off on 23rd June in West Valley City/Salt Lake City, UT tomorrow.